Every year, lakhs of candidates search for the Top-Ranked MBBS Universities list across the globe. And among them is a large portion of Indian Students who did not do too well in NEET or state PMT exams. This article provides facts and insights about MBBS in Philippines. 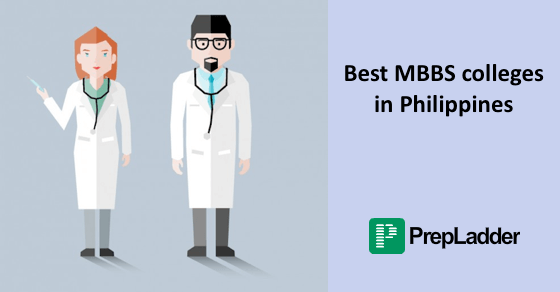 In this article, we will share a list of Top-Notch MBBS Universities in Philippines as well as the details pertaining to admission in these universities. Philippines serves as the hub for the best medical education in Asia. This place provides most affordable and lucrative MBBS program. Education in Philippines is so incredible that it provides best job opportunities to thousands of Doctors and Engineers in the UK, US and Middle East. Philippines follows the American system of Education and is the third largest English Speaking country. The country provides cost-effective living expenditure to the candidates. Students can avail a transfer option to study MBBS in USA or Caribbean. Thousands of candidates prefer Philippines for MBBS since it offers opportunities to do internships in the USA. Fees is affordable and living expenditure low. Candidates need not give IELTS/TOEFL or any other English Language test in case their background is English. Hope that this article makes you acquainted with the Top-Notch Medical Universities in Philippines. Stay Tuned for the latest updates !